The LGBT+ Physical Sciences Climate Survey – Final Reminder! This morning, a tweet from the Institute of Physics containing the above image reminded me to remind you all to participate (if you are so minded) in the LGBT+ Physical Sciences climate survey, which was launched amid the snows of 1st March this year. The deadline is coming up so if you want to complete the survey form and haven’t yet done so, please get on with it! The survey is open to anyone (whether a member of a professional organisations or not) who identifies as LGBT+ or an ally and who may be working, teaching or studying in a physical sciences field. Respondents will need to be at least 16 years of age and above. The Institute of Physics (IOP), Royal Astronomical Society (RAS) and Royal Society of Chemistry (RSC) are managing this survey on behalf of the LGBT+ Physical Sciences Network. Its aim is to collect evidence for what the working and studying climate is like for LGBT+ physical scientists in the UK and Ireland. You can complete the survey here. 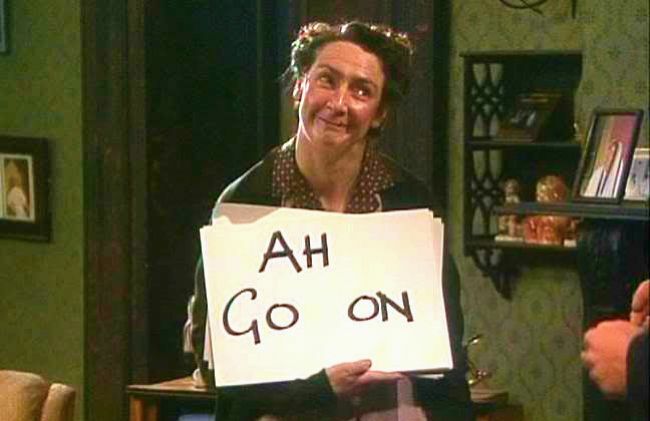 The survey is open until Monday 30th April, which is very close so why not do it right away? 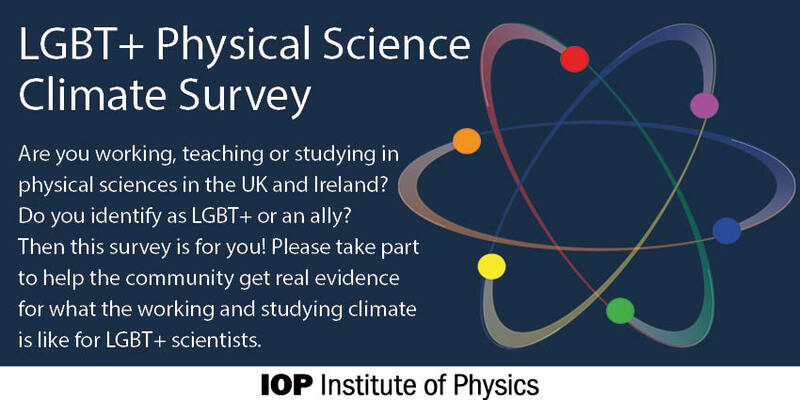 An email from the Institute of Physics yesterday reminded me to remind you all to participate (if you are so minded) in the LGBT+ Physical Sciences climate survey, which was launched amid the snows of 1st March this year. The survey is open to members and non-members of professional organisations who identify as LGBT+ or allies and who may be working, teaching or studying in a physical sciences field. Respondents will need to be at least 16 years of age and above. The Institute of Physics (IOP), Royal Astronomical Society (RAS) and Royal Society of Chemistry (RSC) are managing this survey on behalf of the LGBT+ Physical Sciences Network. Its aim is to collect evidence for what the working and studying climate is like for LGBT+ physical scientists in the UK and Ireland. The survey is open until Monday 30th April, but why not do it right away?